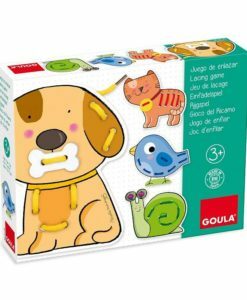 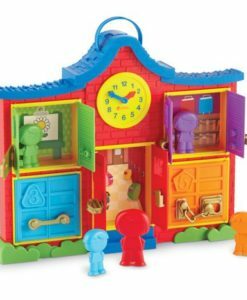 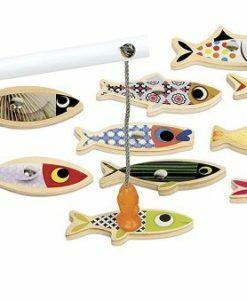 This 3-in-1 Wooden Motor Skills Toy Set is perfect for little explorers. 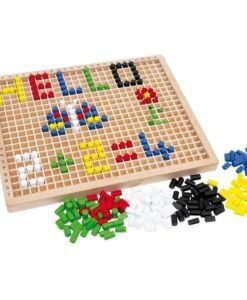 A great addition to support a child’s learning journey. 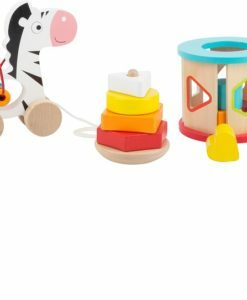 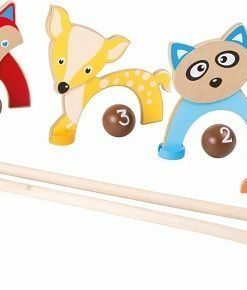 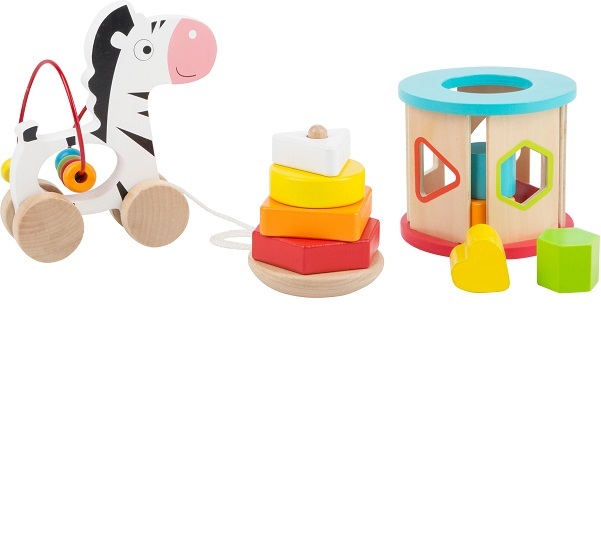 The set includes 3 lovely quality wooden toys. 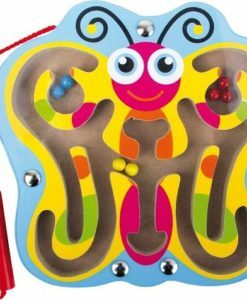 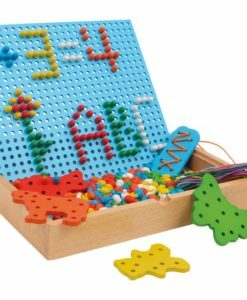 All designed to develop fine motor and mathematics skills from an early age. 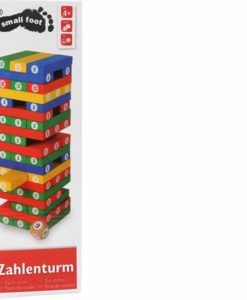 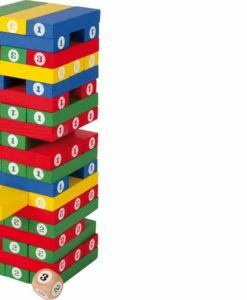 Firstly, the stacking tower requires dexterity and concentration because of it’s wobbling element. 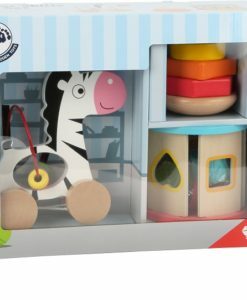 Secondly, the cute pull along zebra with the bead roller-coaster is also sure to be fun and engaging for children. 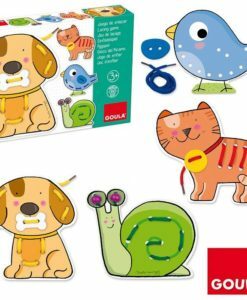 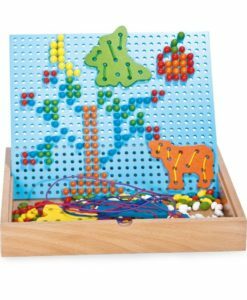 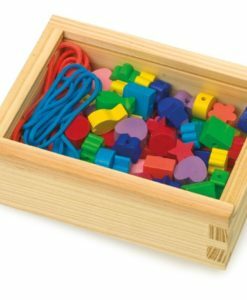 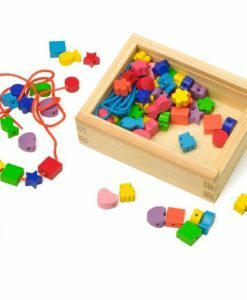 Thirdly, the shape sorter is great for tiny hands, the pieces are big enough to be safe but also small enough for little hands to hold. 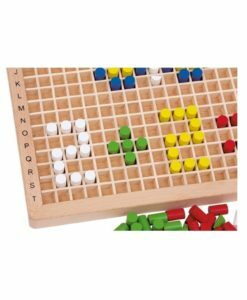 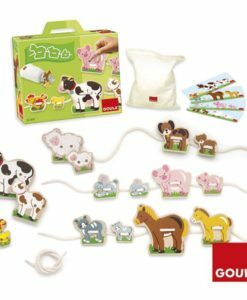 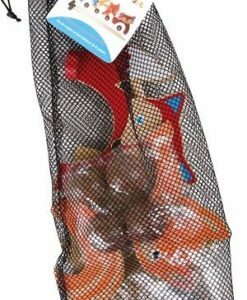 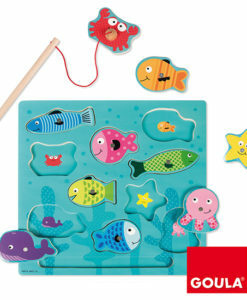 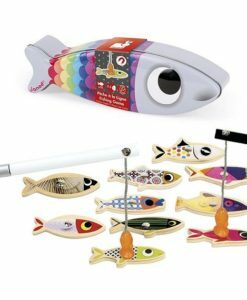 Furthermore, this set also develops hand-eye coordination, colour and shape recognition. 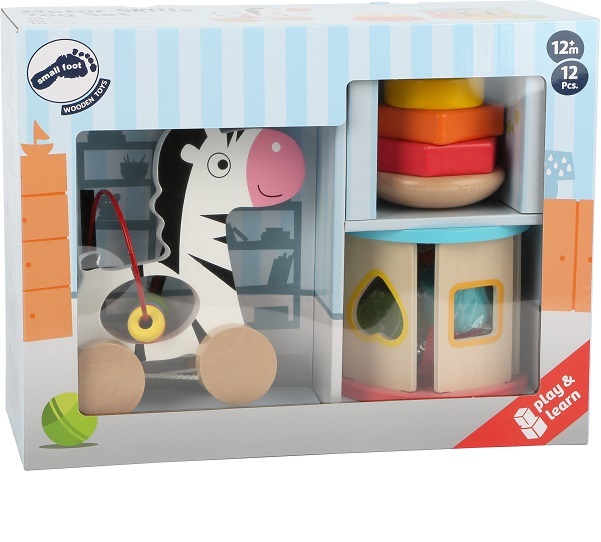 Finally, this wooden educational toy is recommended for children aged from 1 year.